Blue Cohosh is an American herbal plant that has been used for generations in order to treat various health conditions and disease. Blue Cohosh actually refers to certain parts of the plant called ” Caulophyllum thalictroides”, more precisely the roots and the rhizomes. When young, this perennial herb features a smooth stem that grows between 1 to 3 feet in height and it’s terminated by yellowish green flowers. When the plant matures, its colors are of a bluish green and it also bears fruits which are dark-blue in color. This is actually the reason to why it’s named this way nowadays. In a short period of time Blue Cohosh has also started to be used as an expectorant, diaphoretic, diuretic menstrual flow stimulant (emmenagogue) and inducer of labor (parturifacient). Nowadays there are many herbalists who still use Blue Cohosh in order to treat different female conditions and it’s especially used as an antispasmodic, uterine stimulant, but also has menstruation inducing properties. Some of the constituents in this herb are glycosides and alkaloids, of which the glycoside caulosaponin and alkaloid methylcystisine will contrite a lot to the physiological activity. With the experiments that have been carried out on animals, scientists have proven that metylcystisine actually has effects that are very close to the effects of nicotine. Metylcystisine is responsible for stimulating both the intestinal motility and respiration and on top of that it also helps with elevating pressure. Compared to nicotine, it’s forty times less toxic. The hastening childbirth effects of the herb are due to the action of the glycoside caulosaponin, which is a derivative of a triterpenoid called “saponin hederagenin”. This derivative constricts the coronary blood vessels and has a toxic effect on the cardiac muscle. If used on small animals, it will cause intestinal spasms. Just like raspberry, Blue Cohosh features both relaxing and stimulating properties which will help a lot with facilitating childbirth. When used accordingly it causes contractions which are effective and regular, interspersed with a great relaxation period. It’s also used as an ingredient in certain medicines that will help with improving sluggish labor pains. On another note, the plant’s relaxant effects are useful when people will experience uterine irritations, over-strong Braxton Hicks contractions and false labor pains. There are many Native American Women who are using this plant in order to treat their after pains and false pains and they do so by making a tea out of it which they will drink several weeks before giving birth. The effects of drinking this tea will help them deliver their babies faster, easier and with minimum pains. Because it has an antispasmodic effect, it will help the uterus with holding the growing fetus, meaning that it actually prevents women to give birth prematurely. Blue Cohosh actually has a very good reputation when it comes to preventing miscarriage, especially if people will use it with cramp bark or black haw. 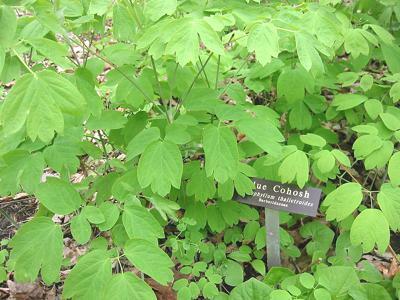 In the past Blue Cohosh was used by Native Americans in order to treat urinary and genital conditions, but was also used by women as a contraceptive measure. In modern times its uses have not changed too much and it’s still used as a tonic for various uterine conditions, bringing relief to people who are suffering from ovarian and uterine pain. Pregnant women should not use Blue Cohosh if they are pregnant, due to its uterine stimulant properties. People will be able to find Blue Cohosh from Manitoba all the way to Alabama (eastern North America) and it grows in damp banks and woodland valleys. Even though most of the times people will gather Blue Cohosh from the wild, it can also be cultivated. Last but not least, this herb is a very effective plant which is very potent with treating a variety of conditions in both men and women. 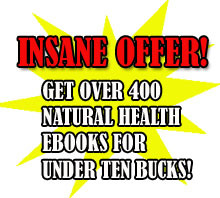 People who want to buy it can find it available for purchase in most local health stores. I would like more iformation on the benefits of blue chosh in requards to respitaory problems?